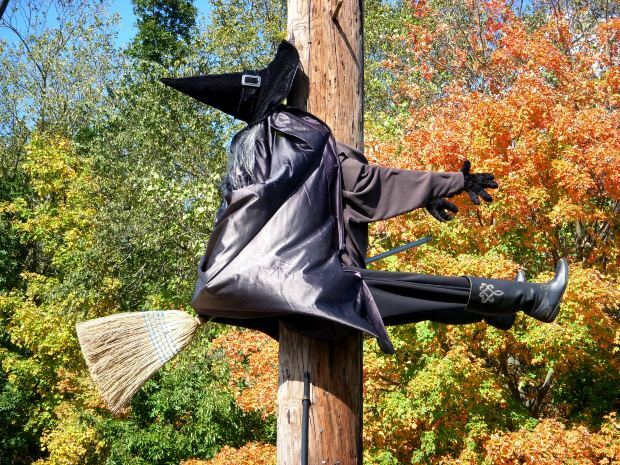 Looks like somebody overindulged on Halloween ale! Scary! Image courtesy of krosseel, Morguefile. It’s been puzzling me for a long time…what IS it about Stephen King’s books that scare the daylights out of me, yet compel me to read them? I’m not generally a fan of the horror genre — real life is spooky enough sometimes, thank you very much — but I like Edgar Allan Poe (after all, Eddie was a local boy, so to speak, since he had ties to Virginia and Maryland) and Stephen King. Some of it is the vivid and chilling imagery that King creates. The best writers make it so easy for you to visualize the scenes in their books. In King’s case, it mostly makes me want to pull the covers over my head at night and have a flashlight close by, just in case. Maybe a part of it is also because King has written about underdogs and I root for them. Firestarter is my absolute favorite King book. This book features a father and daughter on the run from a government agency. Andy McGee, the father, once participated in a government experiment which gave him and his wife Victoria special powers. Their daughter, Charlie, developed the ability to create and control fires through her thoughts. (Guess that would be handy on cold winter nights, hmmm? Instant bonfire for toasting marshmallows.) Arnie Cunningham of Christine is also an underdog, at least initially. Another part of it is that King understands the writing world. His guide book, On Writing: A Memoir of the Craft, has a great how-to section that has some valid points about how you can convert yourself from a competent writer into a good one. I saw Stephen King in a TV interview years ago and was impressed. He’s got a great sense of humor and is an intelligent guy. But I think you’d have to be to churn out all those novels and keep them coming. I marvel at his talent while I envy it at the same time. Lucky guy. Happy Halloween, people! I hope it’s a good one for you.